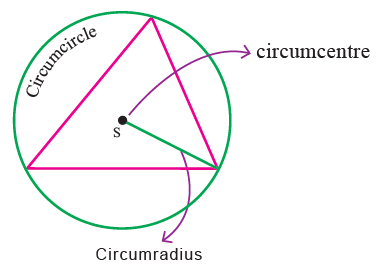 About "Steps of construction of circumcircle"
Here we are going to see construction of circumcircle step by step. 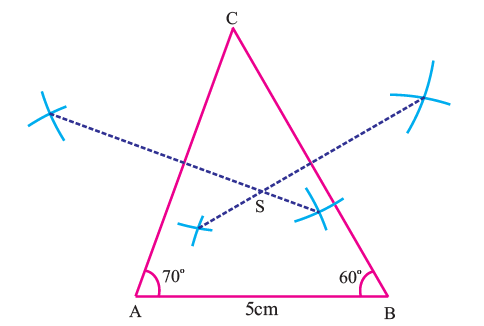 The circle drawn with S (circumcenter) as center and passing through all the three vertices of the triangle is called the circumcircle. 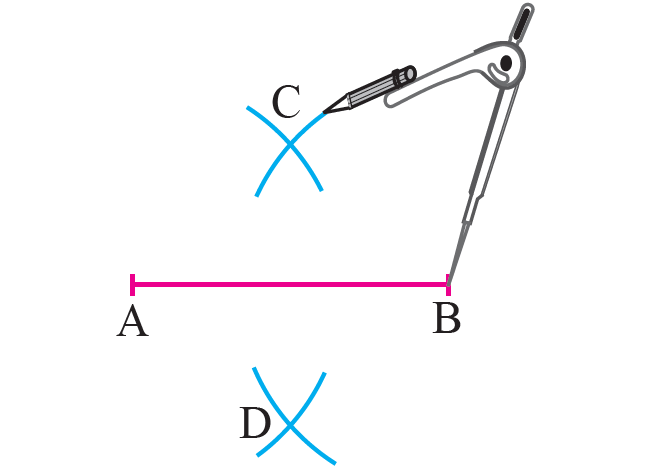 The point of concurrency of the perpendicular bisectors of the sides of a triangle is called the circumcenter and is usually denoted by S.
To construct a circumcircle, we must need the following instruments. 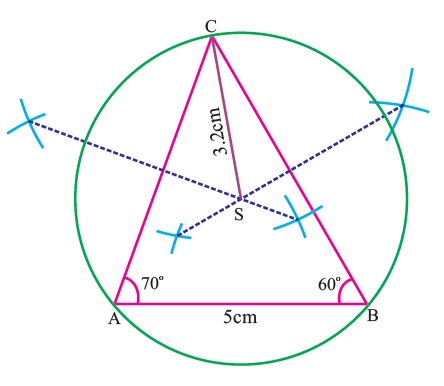 Let us see, how to construct circumcircle through the following example. 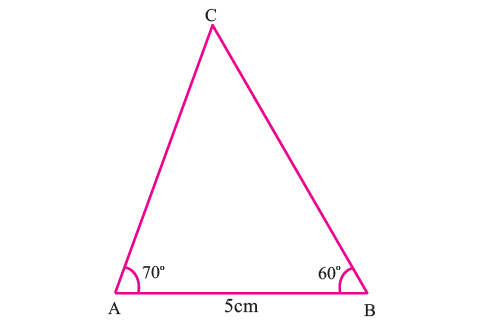 Construct the circumcircle of the triangle ABC with AB = 5 cm, <A = 70° and <B = 50°. 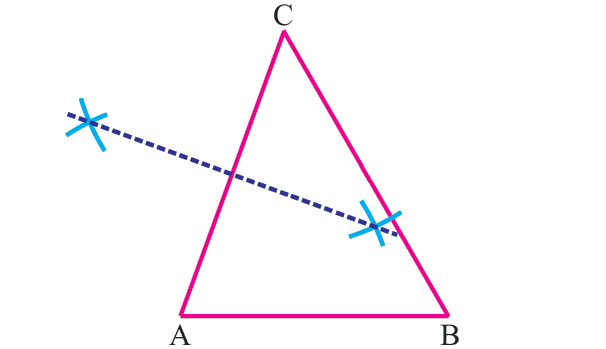 And also find the circumradius. 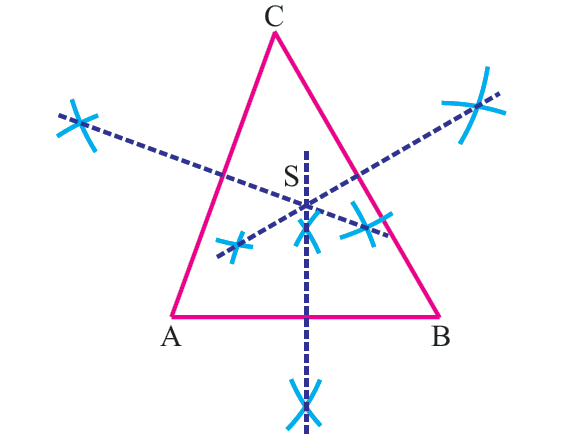 With S as center and SA = SB = SC as radius draw the circumcircle to pass through A, B and C.
In the above figure, circumradius = 3.2 cm. 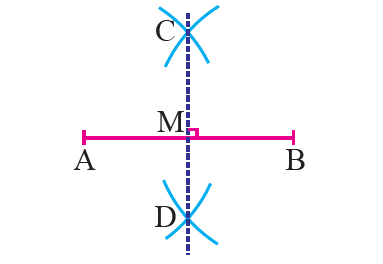 From the steps of construction of circmucircle, first we have to know, how to construct perpendicular bisector. After having gone through the stuff given above, we hope that the students would have understood "Steps of construction of circumcircle"
Apart from the stuff "Steps of construction of circumcircle", if you need any other stuff in math, please use our google custom search here.